Xiaomi is no longer a blank page and you can at least be sure that the app is properly programmed. You can get it for Android, but not in the Play Store but only as APK-Download on the homepage of Xiaomi. As you saw in our Xiaomi Mi 9 Lite Review, China’s leading smartphone manufacturer likes to design its own environment for its products. But that’s why you have us, we’ll find all the links and info from China for you. With the app you can then access the remote station. 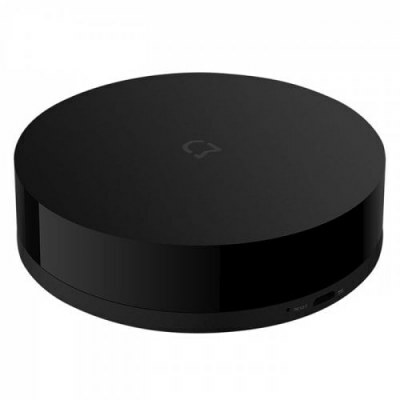 With its size of 10 x 10 x 2.5 cm and its simple black design it is hardly noticeable in the living room but can control devices in the whole room that are not further than 20 m away. Everything else that an infrared remote control needs can now be controlled with the app. The transformation of your analog booth into a Smart Home is now a whole step forward, as many settings can also be programmed. At what time the television should switch on so as not to miss the news anymore or how long the air conditioning should run so that the plants do not shrink, everything can now be conveniently controlled from the couch via smartphone.